This feature helps permanently wipe data on any partition or disk sector by sector. Files erased by this function can never be recovered by any data recovery software. Erased sectors can be filled with 00, FF, random data or characters specified by users. Step 1 Click "Tools" menu and select "Erase Sectors" option as follows, and the Erase Sector window shows up. 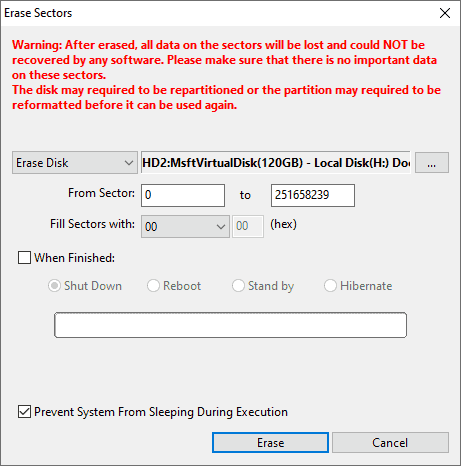 Select disk or partition you want to erase data. Set sector range to be wiped. If you want to wipe a partition, sectors here mean the partition range. Choose characters to fill sectors. 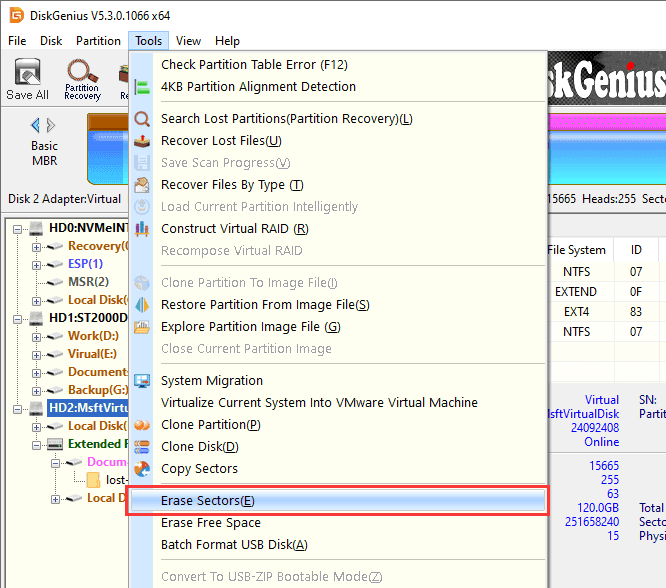 Click Erase and OK button to confirm operations to be done and DiskGenius starts to erase data on selected disk space. Warning: After erasing sectors, all data on the partition/disk cannot be recovered by any software. Please make sure important data has been backed up.